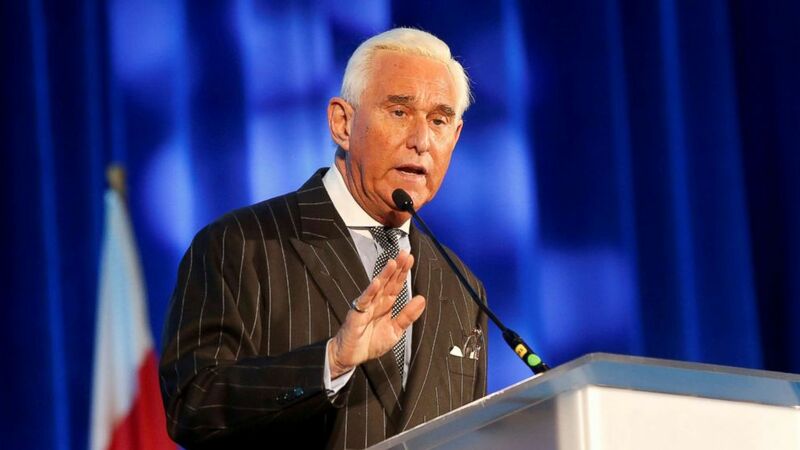 President Donald Trump's longtime friend and veteran political operative Roger Stone was arrested Friday morning after special counsel Robert Mueller filed a seven-count indictment against him as part of an ongoing probe into Russia interference during the 2016 presidential election. The special counsel leveled against Stone, 66, five counts of lying to Congress, one count of obstruction of an official proceeding, and one count of witness tampering. Stone was arrested and appeared in court in Fort Lauderdale, Florida, late Friday morning. The indictment was filed on Thursday. Within hours of the FBI’s pre-dawn arrest at his home in Fort Lauderdale, Florida, Stone made an initial court appearance Friday morning, where a federal judge set his bond at $250,000 and limited his travel to Florida, New York, Virginia and Washington, DC, where he will be arraigned next week. 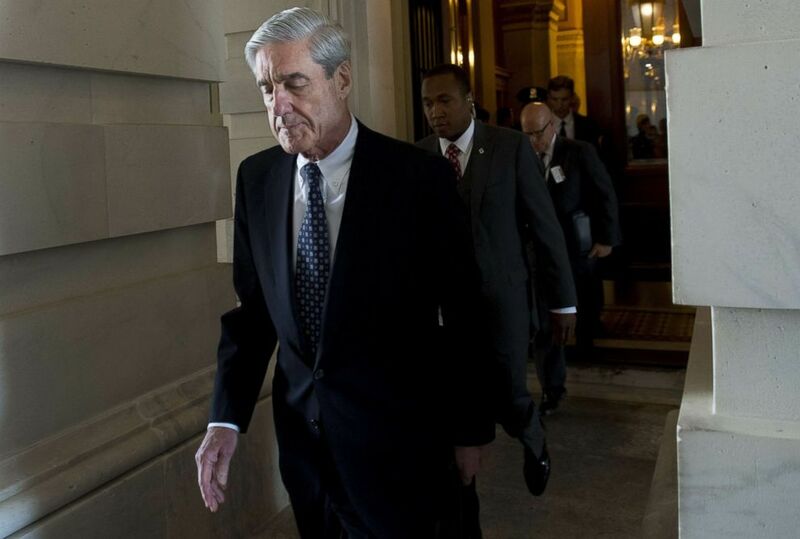 The charges brought by Mueller’s office largely revolve around false statements Stone is accused of making to the House and Senate Intelligence Committees regarding his communications with associates about Wikileaks. (Jim Urquhart/Reuters, FILE) Political operative Roger Stone speaks at the American Priority conference in Washington D.C., in this Dec. 6, 2018 file photo. In court documents unsealed Friday morning, Mueller’s prosecutors wrote that after WikiLeaks began releasing internal Democratic National Committee emails in the summer of 2016, an unidentified "senior Trump campaign official was directed to contact Stone about any additional releases and what other damaging information [Wikileaks] had regarding the Clinton Campaign." "Stone thereafter told the Trump Campaign about potential future releases of damaging material by [Wikileaks]," prosecutors say. In a hastily organized press conference following his court appearance, a defiant Stone pledged to fight the charges. Stone, 66, struggled to shout over protesters chanting “lock him up!” – a reference to chants of “lock her up” directed at Democratic presidential nominee Hillary Clinton at Trump rallies during the 2016 campaign. Although never mentioned by name, WikiLeaks' alleged role in the 2016 presidential campaign was previously referenced in Mueller’s indictment of 12 Russian intelligence officers, whom the special counsel’s office accused of hacking Democrats' emails. During the campaign, WikiLeaks published emails allegedly hacked and stolen from Hillary Clinton's 2016 presidential campaign chairman John Podesta and documents from the Democratic Congressional Campaign Committee and Democratic National Committee. Some of the hacked emails were first published on the "DCLeaks" website, which Mueller alleges was a front for Russian military intelligence, known as the GRU. In addition to the pre-dawn raid on his Florida home, federal agents obtained a search warrant for Stone’s New York home – described as a “spacious two bedroom” apartment in Harlem. Agents were spotted Friday taking hard drives and other evidence from the apartment. House Speaker Nancy Pelosi on Friday night issued a statement saying it is "staggering that the President has chosen to surround himself with people who violated the integrity of our democracy and lied to the FBI and Congress about it." "The indictment of Roger Stone makes clear that there was a deliberate, coordinated attempt by top Trump campaign officials to influence the 2016 election and subvert the will of the American people," Pelosi said in the statement. The youngest person to testify in the Senate Watergate hearings at the age of 20, Stone – who is known for - among other things - a tattoo of Nixon's face on his back– was profiled in a 2016 Netflix documentary, "Get Me Roger Stone," which focused on his eccentric political career and painted him as the original architect of Trump’s political career. The special counsel’s indictment comes amid scrutiny about the self-described “dirty trickster” and his alleged contact with WikiLeaks publisher Julian Assange in the summer of 2016. Stone has told ABC News multiple times that he had never met or spoken with Assange and had no intermediary providing a back channel to communicate with the controversial WikiLeaks founder. Mueller's interest in Stone and WikiLeaks goes to the heart of the U.S. intelligence community’s conclusion, released in a report in January 2017, that the online organization weaponized and published damaging information provided to it by a hacker from the Russian government on Democratic presidential candidate Hillary Clinton and her campaign. In July, the mercurial Stone told ABC News that he is the unnamed Trump campaign regular who allegedly corresponded with Russian hackers, as described in special counsel Mueller’s July 13 indictment against a dozen Russians intelligence officers, who were posing as a hacker, Guccifer 2.0. The indictment alleges that the 12 Russians engaged in a sustained effort to hack Democrats and aides to Clinton during the 2016 presidential campaign. Stone has dismissed his short Twitter direct message communications with Guccifer 2.0 as innocuous and denied knowledge that Russian agents were behind the account. More than a dozen witnesses associated with Stone have been contacted by the special counsel's office, many of whom have appeared before the grand jury impaneled by Mueller’s team. The witnesses have told ABC News they were asked about Stone’s dealings during the 2016 election and what, if any, contact he may have had with Assange through an intermediary. Among them is political humorist and radio show host Randy Credico, whom Stone claims to have asked to act as an intermediary for him to contact Assange to confirm that the Wikileaks founder had a cache of information on Clinton during the 2016 campaign. The list also includes Jerome Corsi, the former Washington bureau chief of the far right site, Infowars, who is known for his role in pushing political smear campaigns. Over the course of his nearly two-year-long probe, Mueller and his team of prosecutors have now indicted 34 individuals and three Russian businesses on charges ranging from computer hacking to conspiracy and financial crimes. Those indictments have led to seven guilty pleas and three people sentenced to prison. Four former Trump campaign officials -- including his onetime national security adviser Michael Flynn and campaign chairman Paul Manafort, also a former associate of Stone – are among those who have pleaded guilty. In October, ABC News reported that special counsel prosecutors had been asking Manafort — their newest cooperating witness — about Stone, who was Manafort’s friend and had also been his partner at the lobbying firm Black, Manafort, Stone and Kelly in the 1980s, according to multiple sources familiar with the matter. ABC News' Aaron Katersky, Janice McDonald, Scott Withers and Tom Llamas contributed to this report.